The principles of Hermès never stray far, reliable for its clean lines, luxurious fabrics and refined craftsmanship. Overtime, techniques such as this become an attitude, and one that artistic director Véronique Nichanian renews with each season. 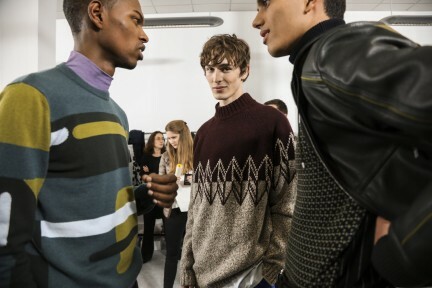 Moving on from last year’s ‘Rock-mantic’ exploration of masculinity, outerwear and knitwear still played a starring role in determining the direction of a look, although pieces evolved with a fresh interchangeable, utilitarian quality. 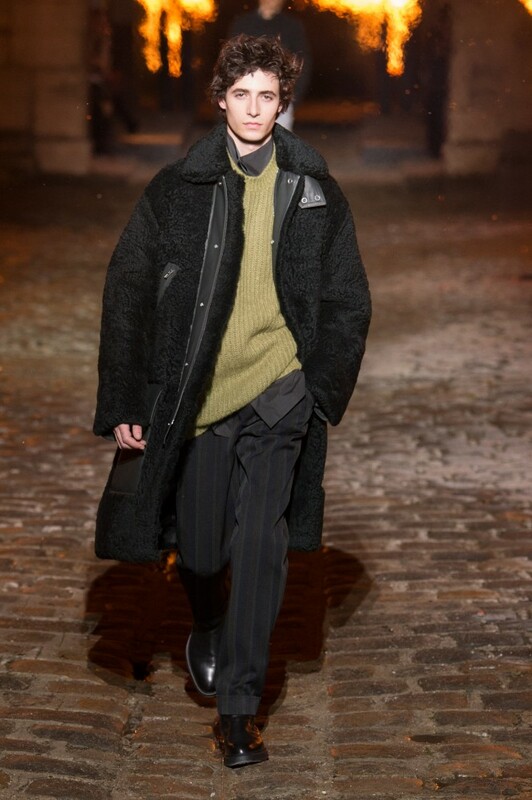 Models made their way through the outdoor courtyard of the historic Hôtel De L’artillerie – a former Dominican monastery – to the dance-electro of Marie Davidson’s Naïve to the Bone, walking down a runway lined with fire pits, which worked to create a warm, rustic atmosphere that mimicked the tones and illustrations of the collection on show. 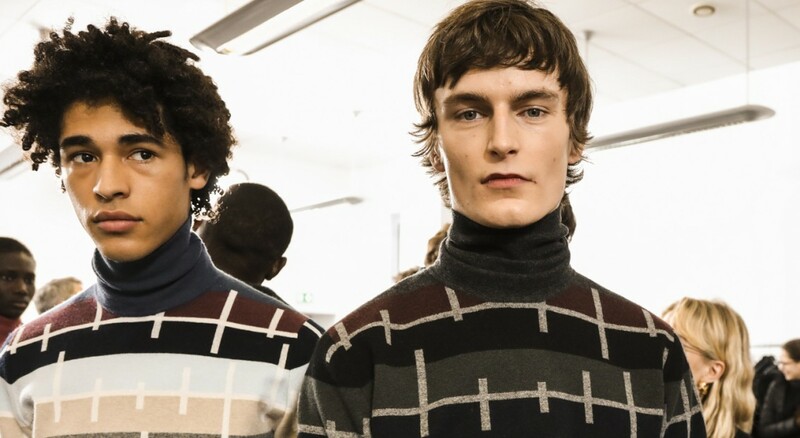 Catering to every man, pieces were effortlessly put together and youthful with long textured coats, slouchy knitwear and baggy trousers, while shiny single-breasted suits and straight-legged trousers suggested a mature sensibility. Colour was cleverly integrated into styling – hot pink and electric blue roll necks underneath powder blue leather jackets – as clashing prints peaked out beneath tailoring. Shimmer and sheepskin dominated bombers and parkas, with asymmetrical zips and designs of mountain landscapes creeping along the edge of cropped jackets and emblazed across bright jumpers – a little energy and fun thrown onto a wearable palette that brings nature boy home to an understated, urban and forever classic city.